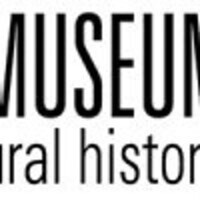 The Santa Cruz Museum of Natural History (SCMNH) has been connecting people to the wonders of nature for over 100 years. Located above Seabright Beach, the Museum highlights the region’s diverse plant, animal, and human communities from the shoreline of Monterey Bay to the summit of the Santa Cruz Mountains. We strive to fulfill our mission to connect people to nature and inspire stewardship of the natural world through an array of educational programs and exhibits focused on natural and cultural history of our region.